There seems to be a recent increase in UFO sightings around the world, and one interesting one from Down Under. The Australian Transportation Safety Board has the following report. 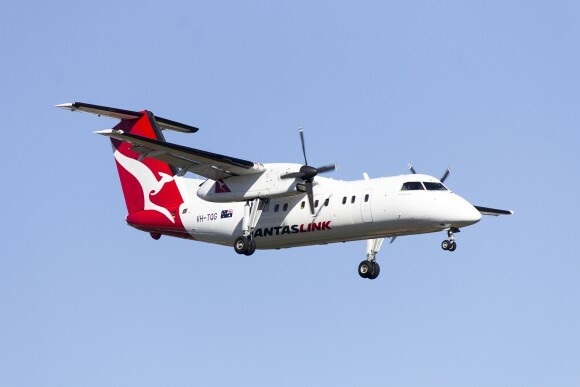 On 19 March 2014, at about 0913 Western Standard Time (WST), a De Havilland DHC-8, registered VH-XFX, was on approach to Perth Airport from Kambalda, Western Australia. When about 23 km north-northeast of Perth, at about 3,800 ft above mean sea level (AMSL), the crew sighted a bright strobe light directly in front of the aircraft. The light appeared to track towards the aircraft and the crew realised that the light was on an unknown object, possibly an unmanned aerial vehicle (UAV). The pilot took evasive action turning towards the west to avoid a collision with the object. The object passed about 20 m horizontally and 100 ft vertically from the aircraft. UAVs are increasingly available to recreational operators and their operation outside of the regulations may pose a significant risk to aviation safety. For anyone going to cry cover-up, it is not the responsibility of the ATSB to investigate UFOs, only air travel safety and identification of existing and potential threats to safety. But that does not rule out the possibility of a privately owned unmanned drone either. Never the less this is an interesting report. This raises a question in my mind. With the affordability and compactness of camera systems, and small hi capacity data storage systems available, why do airliners not have 360 degrees of camera surveillance on board? “Black Boxes” rely solely on instrument telemetry and voice recording. Get with the times people! Javier is swamped at work right now. As am I, so things at GT are running a little slowly. He is often very delayed in responding to me as well, do not take it personally. I will drop him a message, and please send me the article as well. …also, both our emails are clogged with spam. Ok, I’ll mail you the article rightaway. Note that this is only a sample though, I will prepare another good article once the application is approved. Thanks a lot. I would really love to join GT.